Le Corbusier was a master of design and an outrageous self promoter. 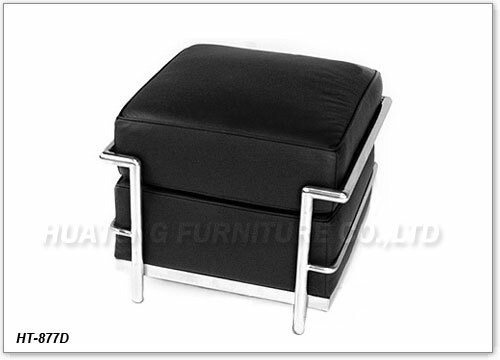 His furniture designs have become iconic pieces for 20th century design and defined modern style. Le Corbusier and his studio members designed the modern club ottoman, named LC2 club chair, in 1928 for the Maison <?xml:namespace prefix = st1 ns = "urn:schemas-microsoft-com:office:smarttags" />La Roche project in Paris. Our LC2 Modern Club Collection includes chair, loveseat, sofa and the ottoman. All are made from high quality material, which meet friendly environment standard.